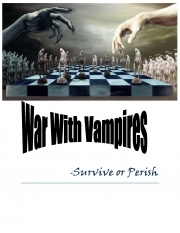 Description of "WAR with VAMPIRES (eBook)"
It all starts with two strangers discovering a dark secret. Opening a wrong door took them to another world. Learning that human race is about to perish they jumped into action. The Book is all about how they did it and who will survive and who will perish. Author is just in teens (fifteen) and school going and this is her maiden publication. Lives in the pearl city Hyderabad. Flight 297 by Mohit Sharma "Trendster"
Reviews of "WAR with VAMPIRES (eBook)"